The mission at Arizona Veterinary Physical Rehabilitation is to assist dog lovers to maximize their pet’s quality of life by optimizing mobility, decreasing pain and increasing the overall fitness level of their pet. This is accomplished through effective and safe physical rehabilitation and conditioning programs performed by caring veterinary professionals dedicated to ongoing advancement of their own knowledge as well as client education. Each plan is tailored to the specific needs and lifestyle of the dog and its owner, recognizing each unique human-animal bond. Dr. Sonnet only uses gentle handling techniques and motivation to encourage your pet to participate in his or her own recovery process. became certified as a K9 Fit Club Trainer in 2014 and a Certified Canine Fitness Trainer (CCFT) in 2016. Dr. Sonnet was a FitPAWS Master Trainer Instructor, helping teach the lab portion of the CCFT program through the University of Tennessee. In 2016, She co-founded K9 Fitness Solutions, an online fitness program geared to helping dogs develop the ideal level of fitness for their sport. 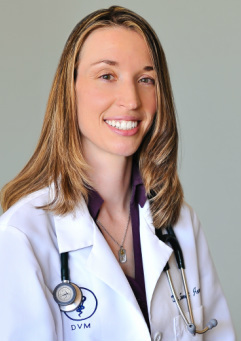 She combines her knowledge of human fitness and exercise with her canine rehabilitation skills and veterinary medical expertise. Trained to do a whole body evaluation for weakness, pain and imbalance, Dr. Sonnet then tailors a rehabilitation treatment plan for your dog and adjusts therapeutic recommendations to achieve success. Dr. Sonnet specializes in strengthening programs. Dr. Sonnet is a member of the American Association of Rehabilitation Veterinarians and the International Veterinary Academy of Pain Management. Dr. Sonnet has been featured on NBC's EVB Live show, NBC's morning show, and ABC's The List for her expertise in canine fitness and exercise, and The Animal Rescuers for her rehabilitative work with rescue groups.